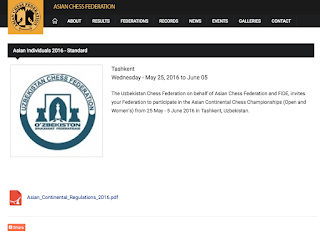 Peter Long on Chess: We Have No One Playing In The Asian Continental Championships? 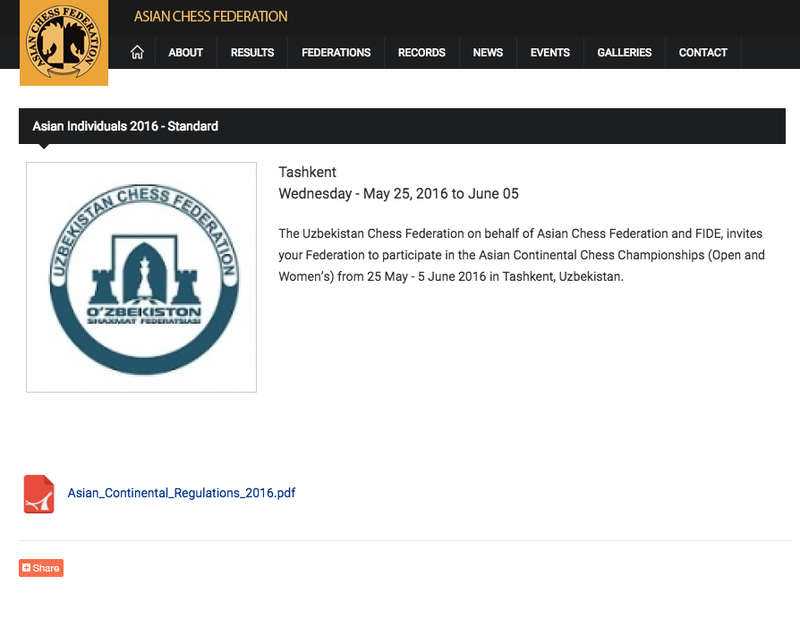 We Have No One Playing In The Asian Continental Championships? The Asian Continental (or Individual) Championships is together with the Zonal Championships the qualifying competition for the World Cup and therefore the World Chess Championship cycle. While we Malaysians like to talk about becoming Grandmasters when not even anywhere near able to fight for the International Master title, it seems that we do not even take the opportunity to participate in top level competitions when we can. Besides the Zonals and the Asian Continental, the Asian Nations Cup must be included in these. So while we are all so excited with going to the World Chess Olympiad later this year, funds have yet to be found and there is still no plan for preparing the team. I have already said so in a particularly well read piece published in my weekly Malay Mail Online column (see: http://www.themalaymailonline.com/opinion/peter-long/article/choosing-players-for-the-national-team...-why-bother) and I will repeat that if we are not serious to set targets with the relevant national sports authorities then let whoever qualified go as they will. We are of course an amateur chess country so our lack of participation at the Asian Continental Championships held from 25 May to 5 June in Tashkent, Uzbekistan is not a major disaster but I wonder how many of our top or more ambitious players knew about it and perhaps might have applied to go for a perhaps once in a lifetime opportunity? From what I have gathered from the entry list, only Vietnam, Indonesia and Singapore from the ASEAN region are represented.